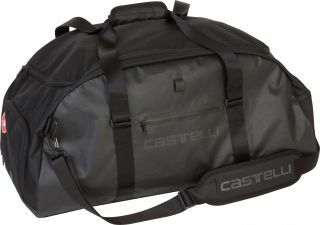 Italian cycling clothing manufacturer Castelli has released a line of travel luggage designed for the serious cyclist. 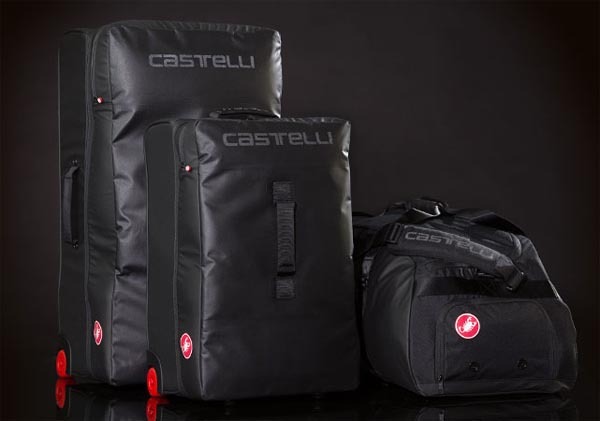 Four years in the making, Castelli solicited feedback from pro cyclists about what traditional luggage lacked for their specific usage. The result is the Race Bags line just released and available now. The focus for the collection is on material strength, water resistance, and ample storage for gear. As with all Castelli gear and clothing, the design is impeccably stylish. 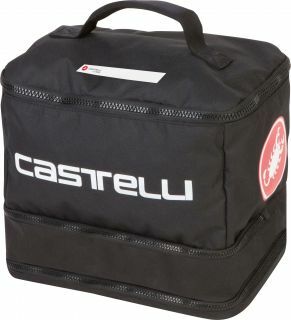 It wouldn’t be Castelli if it didn’t look good. All pieces are black, with red trim and highlights. The collection includes two roller bags, a backpack, a duffel, a rain bag, and two seatbags. A large roller bag for longer trips or where you’ll need to bring more gear. All the protection you should need to stand up to TSA or the elements. Two separate interior compartments help you organize. A fleece lined pocket and a laptop sleeve help protect your electronics. All the features of its bigger XL brother with the added benefit of being able to carry this on most airlines. This roller is great for a weekend trip. A stylish version of a standard daypack, with water and stain resistance and some cycling-specific touches. Perfect for events you drive to or so you can leave your main luggage at the hotel. 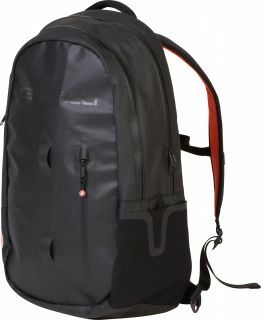 This would even be a great pack for using every day to school or the office. Keep your extra gear for weather and elements organized and easy to find without digging and dumping. Should hold enough for a 3 day stage race. Pros stash these bags in the team car in case they need some extra warmers, rain gear, or even another pair of shoes. This bag is also a great way for non-Pros to keep their riding gear separate and organized.